Successful authors think about the target market for their book early in the publishing process. Sure, high-quality content is important in today’s competitive landscape, but having creative, nuanced marketing plan is what separates best-selling books from the rest. Whether you’re published by the largest New York City house, you self-publish with Amazon, or you work with Mascot, it’s more important than ever for authors to be actively involved in marketing their book. While there are no magic bullets, there are best practices and industry tricks, only learned through experience. Over the years, we’ve seen what works and what doesn’t, and we use that experience to help our authors get their books out into the world. We offer two packages to our authors, in addition to a host of promotional materials to help boost the visibility of your project. We know what it takes to devise and implement a winning marketing campaign. In this package, we’ll set you up with the tools you need to market your book in a sustainable way that will achieve real results. These are your title’s marketing playbook. Based on your content and target market, our marketing professionals put together a customized road map for marketing and sales efforts, including strategies for book launch, ongoing marketing, author events, social media presence, reviews, and distribution. Also known as a sell-sheet, this custom-designed page includes your book’s summary, buying information, and book cover. This is the go-to tool for pitching your book to reviewers, media outlets, and bookstores. For authors looking to take on the retail market on their own, this is a great tool to get orders directly from retailers and special groups, like schools, non-profits, and book clubs. We’ll draft a press release announcing the publication of your book for maximum impact with outlets in the publishing world. Even more importantly, we’ll offer you ideas on the best places to use it. Amazon very seldom offers books for their full retail prices. To stay competitive with discount retailers while allowing you to keep an 85% royalty split, Mascot Marketing clients are able to opt in to promotional pricing that mirrors prices set by Amazon and other distributors, giving your book a competitive edge in the marketplace. 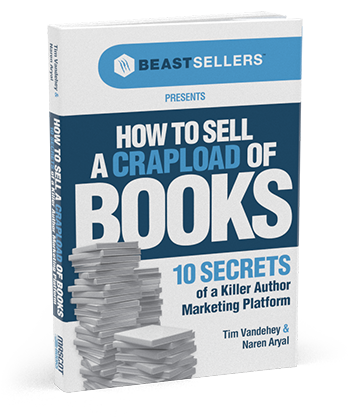 Successfully marketing a book can become overwhelming, especially for first-time authors. Mascot Books offers an extended marketing program called Mascot Marketing Plus for authors who may not have the time or experience to successfully implement a marketing plan. Mascot Marketing Plus is designed to help authors promote their book on a local level with active outreach for reviews, media coverage, and placement in brick-and-mortar bookstores. MM+ authors receive ongoing marketing and sales support for the duration of the program, including an introductory phone call at the beginning of the campaign, a mid-engagement check-in and strategy call, and a report at the end of the campaign detailing our marketing efforts so you can reconnect with outlets we’ve pitched on your own. Make your book visible by Mascot’s more than 3.5k followers by being added to the Featured Books shelf in our Facebook store during the month of your book’s release. We’ll link out to our shopping cart so sales will yield maximum royalties. Your marketing manager will work to set up signings, readings, and appearances and push for placement on the shelves at retail locations such as book stores, gift shops, and libraries that are right for the genre of your project. After we perform our outreach, we’ll provide authors with the materials we’ve used to pitch your book to use as a guideline when approaching retailers, bloggers, press, and reviewers in the future. Mascot Marketing Premium authors will work closely with a marketing manager to design, draft, and write content for a six page website. You’ll get to work with experienced web writers while still retaining complete creative control. An electronic press kit (EPK) will tell media outlets, bloggers, and reviewers everything they need to know about you and your book. From biographical information to subject matter expertise to speaking topics, this custom-branded EPK will help secure the coverage your book deserves. While the literary world is full of reviewers and prizes, there are several top-tier outlets that can only be reached through the support of a publisher. Mascot Marketing Premium customers will have access to trade and specialty publications, reviewers, and prizes they’d otherwise be unable to reach. The Big Five often use these ARCs (advance review copies) to secure reviews and build buzz before a book’s release date. In this program, Mascot will create either a Goodreads Giveaway or publish a digital copy of your book on NetGalley to make it accessible to these platforms’ thousands of readers and reviewers.